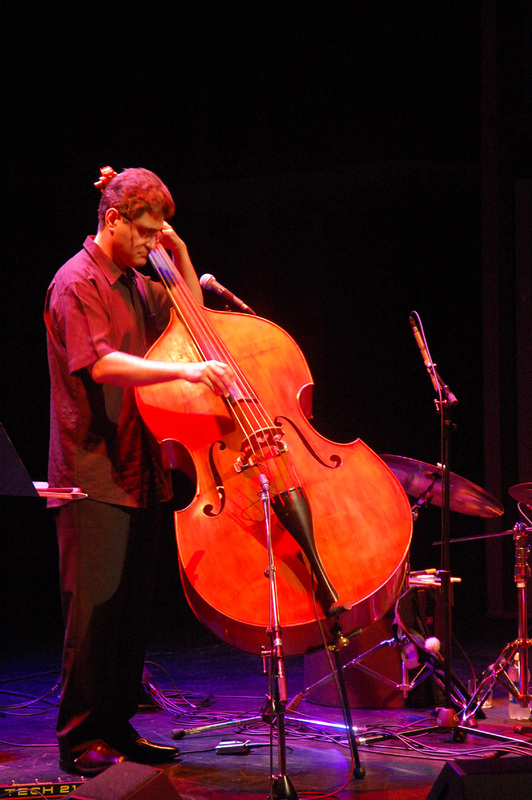 Toronto – Renaud Garcia-Fons hails from a small Parisian suburb and is a double-bassist par excellence who fuses the very best elements of jazz, flamenco, and classical music. He played last Sunday at the Enwave Theatre (Harbourfront). It was a perfect combination of venue and performer; the end-result was nothing short of enchanting. The Enwave Theatre has a maximum capacity of 420 people and has now become one of my favourite concert halls for live music. The acoustics are absolutely fantastic. In short, a great place for a vivid music listening experience. I’ve heard good things about this hall before, but after hearing some top brass musicians stretch their legs there, I now understand what the buzz is about. I can only struggle to describe how good they sounded in this hall. Renaud Garcia-Fons was accompanied by flamenco guitarist Antonio Ruiz and percussionist Pascal Rollando. Together, they produced a well-rounded sound that was meticulously assembled. Renaud is a virtuoso and I mean this in the best meaning of the term. Sometimes “virtuoso” is synonym for “technical mastery”. That is to say the ability to play really technically challenging things effortlessly, but robotically. Renaud has the chops, but he’s a consummate musician capable of playing with feeling. He’s got full command of his instrument, and uses it to effortlessly fuse musical styles. This was a perfect combination of beautiful music in a venue where listeners could really appreciate how damn good this trio sounds. A highlight of the jazz festival for me this year. Note: The attached song (from his latest CD Arcoluz) is an instrumental that fuses jazz and flamenco.